The New Zealand Hawks’ preparations for the International Cup are stepping up a gear, with a practice match against Ormond AFC. The game will take place at Elsternwick Park on the 6th of August at 6.00pm. Ormond AFC is a leading club within the Victorian Amateur Football Association, and the match will serve as an excellent warm up for New Zealand. Ormond AFC is a club with a long and proud history. Formed in 1931, the club has been well supported throughout the decades, and have won 13 Senior Premierships. Their reputation is one of playing a tough but fair style of football. Justin Davies, Head Coach of the New Zealand Hawks, will be looking to test combinations ahead of the opening round of the International Cup, to be held on Sunday the 10th of August. It should be a reasonably free-flowing game of footy and an excellent game to watch. The term ‘bruise free’ comes to mind. As much as the Kiwis will all be fighting for a place in the starting line up and attempting to influence the coaching staff neither they, nor their opposition coming towards the end of a long winter, would be wishing for injuries. New Zealand’s first opponents will be Sweden, in a match that will be streamed by the AFL. Following the fixture against Ormond AFC, the New Zealand Hawks have been generously invited to use the facilities of the St Kilda Saints for recovery and training. 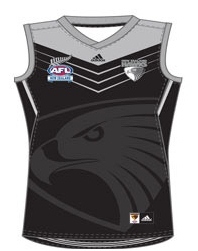 This provides an on-going opportunity for the St Kilda Club to support NZ football in a meaningful way. One member of the New Zealand team, Joe Baker-Thomas, is already familiar with these facilities, as an AFL International Scholarship player with the club.